One of Beyonce's biggest fans has offered to buy her Grammy's dress for $250 000 (R2,7 million) from the designer Michael Costello. One of Beyonce's biggest fans has offered to buy the dress she wore to the Grammy Awards for $250 000. The XO hitmaker, who caused controversy with her steamy performance at the ceremony in Los Angeles on Sunday night, wore a white and sheer gown by Project Runway designer Michael Costello on the red carpet and he is currently debating whether to sell the delicate ensemble. 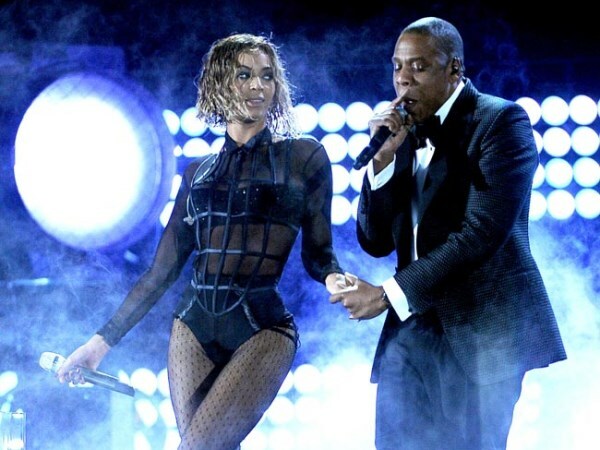 He told People.com: "There's a guy who's an obsessive Beyoncé fan who offered us $250 000 for the dress. It's crazy. I'm debating. I want to keep it! It's a dream come true." Michael made six dresses for the 32-year-old star for the event and previously admitted he was wowed by her "tiny, amazing" body. The blonde beauty, who is married to rapper Jay Z with whom she has a two-year-old daughter Blue Ivy, reportedly dropped 70 pounds in recent months after following a largely vegetarian diet. Once known for her curvy figure, Beyoncé is now said to be a UK size 6 (US 2). Michael said: "It was incredible! We didn't have any of her sizes or measurements. The dress was just made to fit a sample mannequin. "It's smaller than a size 4. She is tiny! That dress is at least a 2/4. She looks amazing. I just love the way it all came together. Ty [Beyoncé's stylist] knew it was going to fit. "At first I was a little concerned with the pieces I gave. Maybe it needs to be smaller or bigger? When you send something to Beyoncé, you're just a little concerned, but Ty knew."